Quick, Courteous and Professional Electrical Services At Johnson’s Electric Service, each and every one of our customers is important to us. We don’t want to keep you waiting any longer than is absolutely necessary. That’s why we take pride in getting to your job as quickly as possible. 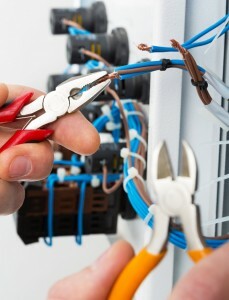 We know that when you need electrical work, you need it fast. When you call Johnson Electric, we’ll make sure that your job is done fast and to the highest standards of professionalism in the electrical services industry so that you can enjoy all the comforts of home or get your business back up and running ASAP. We all want to save money on our utility bills and one of the best ways to reduce your energy costs is by replacing your traditional incandescent and/or fluorescent bulbs and light fixtures with modern, highly energy efficient LED lighting. If you’re ready to lower your electric bill and make the switch to LED, call Johnson’s Electric Services. We’ve already helped many homeowners throughout the Lawton area to change to LED lighting and we’d love to help you keep your energy bill low too! Anyone who’s lived in Lawton for a while knows all too well that we get more than our share of thunderstorms – and that can mean serious trouble for your home’s electrical system. Power surges from electrical storms can wreak havoc on your appliances, your computer and anything else in your home that’s plugs into an outlet; not to mention the risk of starting an electrical fire. Fortunately, it’s easier than you might think to protect your home from power surges and keep your household safe. We can install surge protection panels at your home’s main breaker or, if needed, install several panels throughout your home for additional protection. At Johnson’s Electric Service, we sell and service residential and commercial generators, including automatic generator systems. While we hope your power never goes out on you, our automatic generator systems ensure that if the power does go out at your home or business, your generator will automatically kick in so that you won’t be left in the dark. Naturally, every one of the automatic generator systems we sell is top quality and will be professionally installed and serviced by our staff of expert technicians. Your safety and security are important to you and that means that they’re important to us too. A security lighting system can deter burglars and keep unwelcome “guests” away from your home. We also offer landscape lighting to add safety and security at your home or business. We install, replace and service a wide range of electric meters for residential and commercial buildings. Whether you need to add a new breaker panel to accommodate an expansion of your business or an addition to your home or want to install surge protection for the entire home or building, your first call should be to Johnson’s Electric Service. 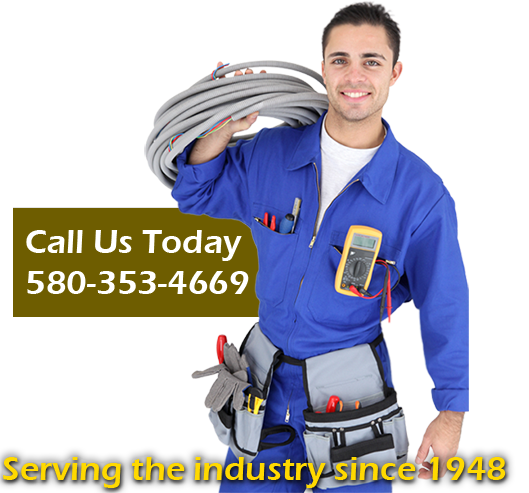 We’re Lawton’s leading experts in breaker panel upgrades and will make sure that the job is done properly using equipment that is up to or exceeds the latest codes. We can do any size of residential or commercial rewiring job; and if you need new outlets or lighting fixtures installed, Johnson’s can take care of it for you with the quality service we’ve been known for since 1948. A complete range of professional, reliable residential, commercial and industrial electrical installation and repair services – no job is too big or too small! Safety and Savings Club for residential customers: 15% discount on Johnson’s Electric Service products and services and free annual whole home safety inspection.